I love chewy cookies. I don’t really get the appeal of a crunchy chocolate chip cookie. On the other hand, I find that store-bought cookies tend to be almost too squidgy; you need a crispy edge to off-set the chewiness. David Lebovitz’ cookie recipe is the best I’ve ever tried; there’s this tapping technique involved which guarantees a soft and chewy centre, and the addition of flaky sea salt makes for a dangerously moorish cookie that somehow doesn’t overwhelm you with sweetness. I dare you not to get addicted. 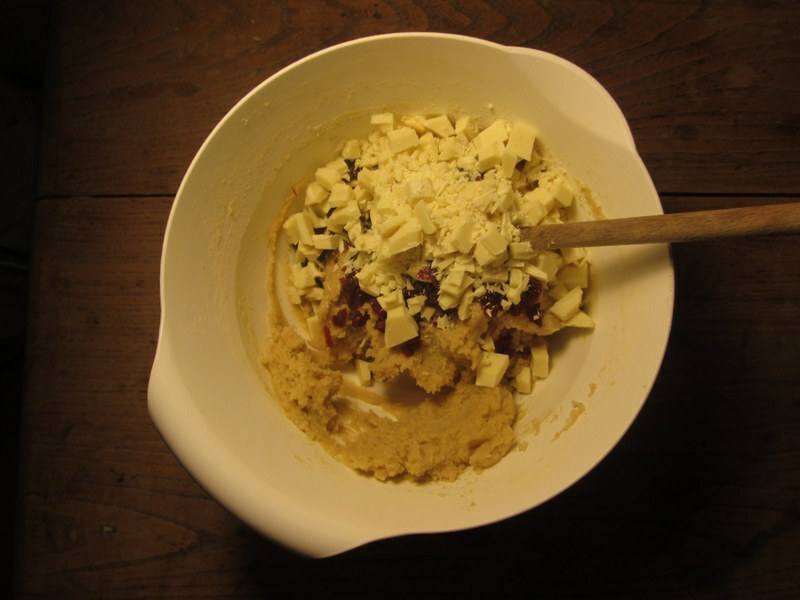 I recently tried a cookie with dried cranberries and white chocolate, and decided to try out this variation using David Lebovitz’ recipe as a base. A decision I have not regretted – I liked them so much in fact, that I made them again a few days later. They are a bit dangerous though, I think I actually managed to eat 8 or 9 cookies in one day (I brought them to work, but managed to eat so many sitting at my desk that I didn’t have enough left to share for afternoon coffee, and had to take the remaining few back home to hide my cookie binge). Don’t say I didn’t warn you. 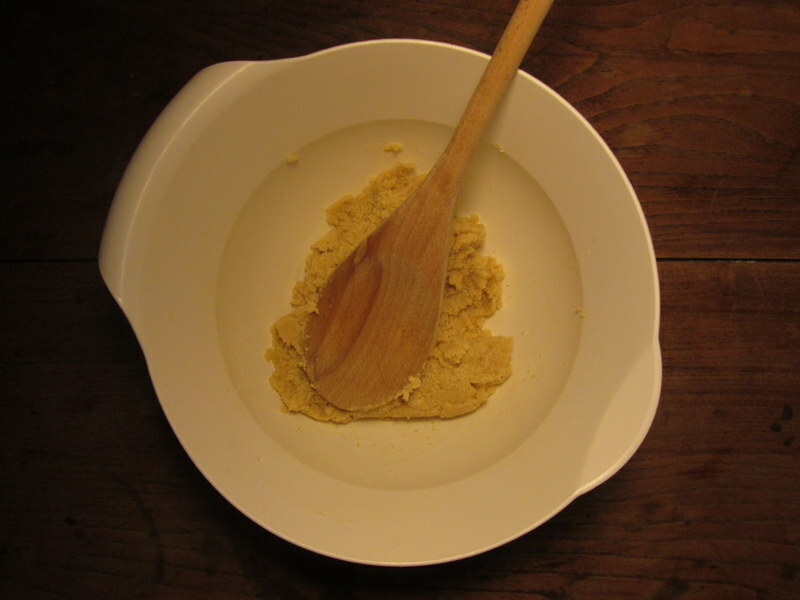 Cream the softened butter and the sugar with a wooden spoon until well incorporated. 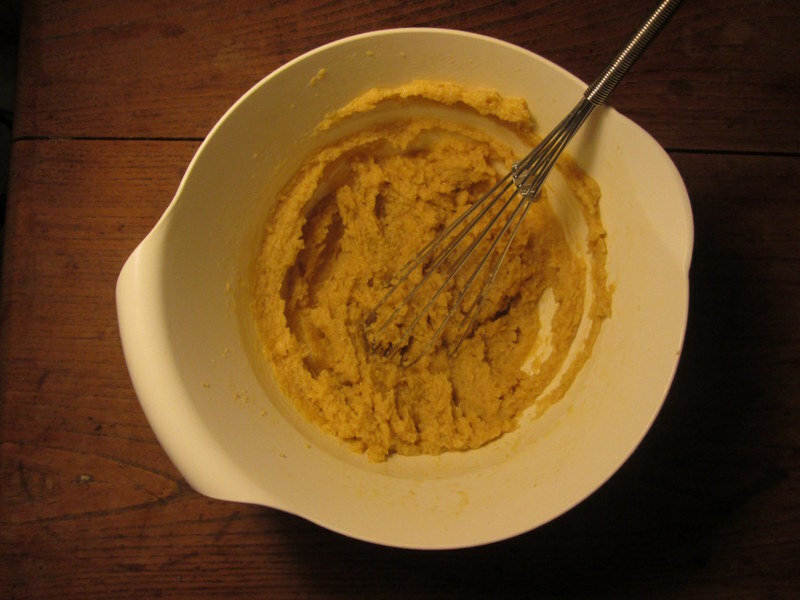 Whisk in your egg and vanilla extract. 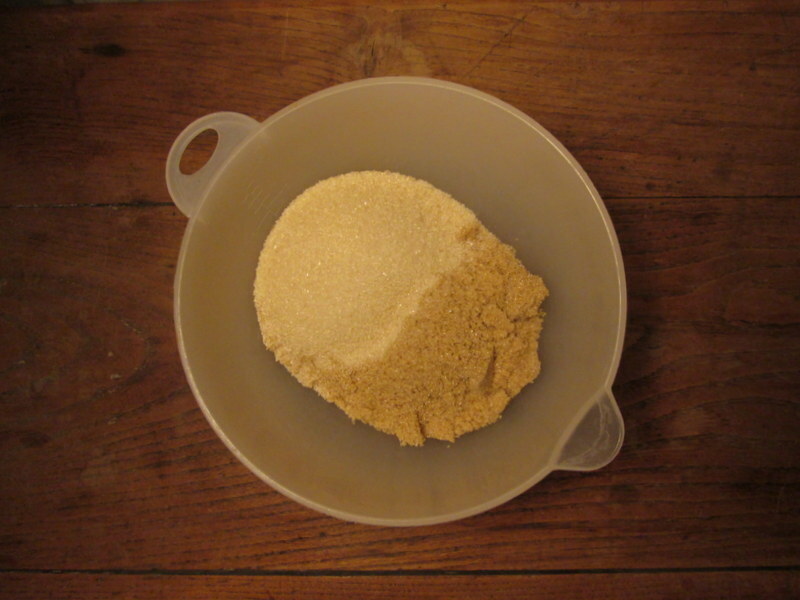 Mix together the flour, flaky sea salt and baking soda, then incorporate this into the butter-sugar-and-egg mixture until all the flour has been absorbed. 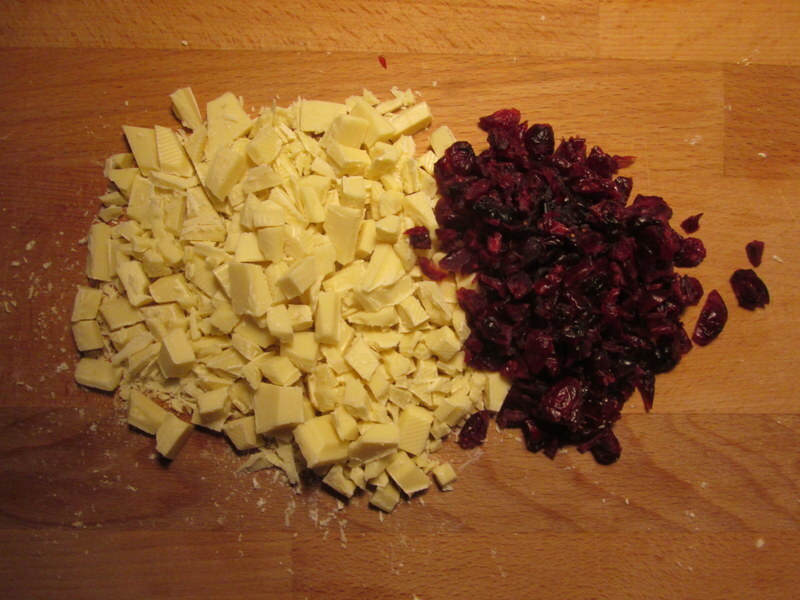 Add the (quite finely) chopped white chocolate and cranberries. Chill the dough in the fridge for at least an hour, then roll into small-ish walnut-sized balls and place on an ungreased baking sheet (or, if you’re impatient, roll into walnut-sized balls, place on a baking sheet and place said baking sheet in the freezer for about 10-15 minutes while the oven heats up!). Press down a little on each cookie so that they are somewhere between round and flat (but still thick, as the dough will spread as they bake and you don’t want your cookies to turn out too thin). Bake for 9 minutes at 180°C (350°F) until the edges begin to brown lightly, turning the baking sheet halfway through baking. At the nine minute mark, take your baking sheet out of the oven and gently ‘tap’ each cookie with a wooden spoon to release the air trapped in the cookie, and ensure a dense, chewy cookie texture. 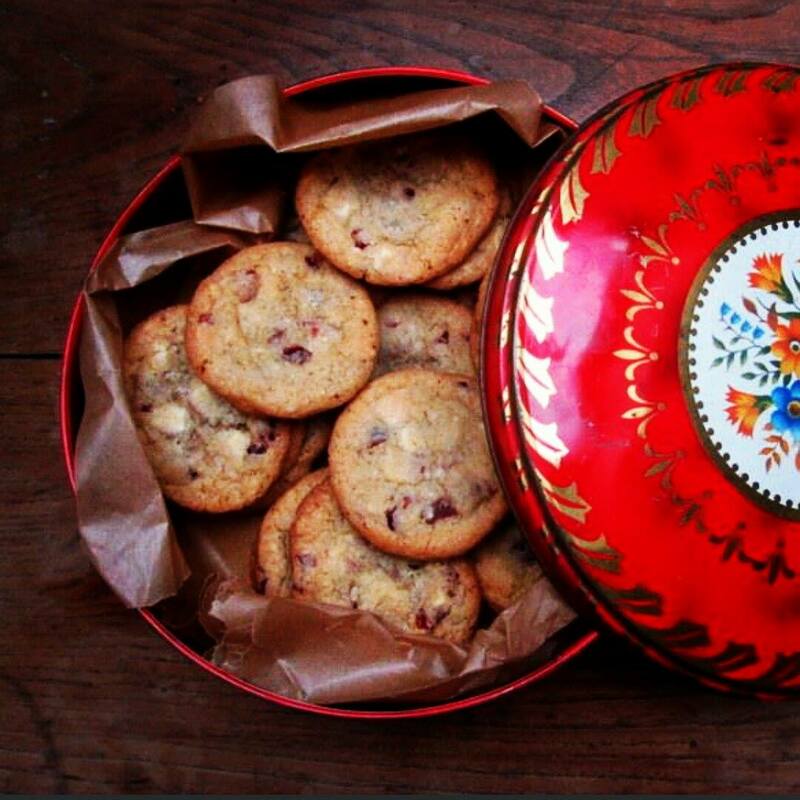 Return the cookies to the oven for 1-3 minutes depending on how crunchy/chewy you like your cookies. 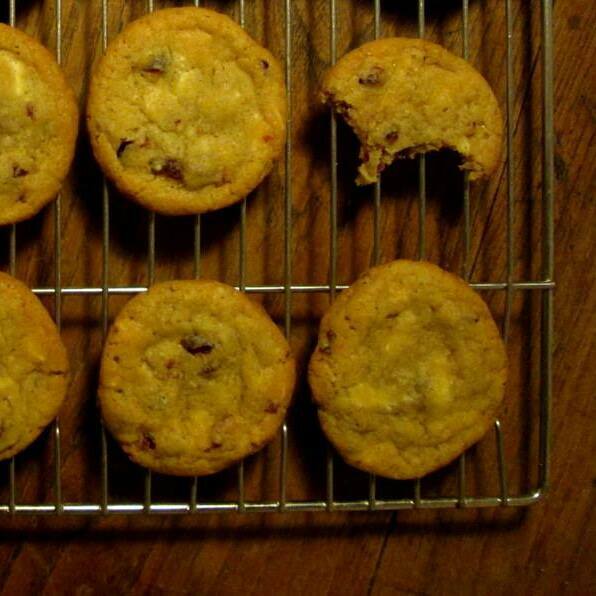 I like them quite chewy, so I only return them to the oven for a minute or so. 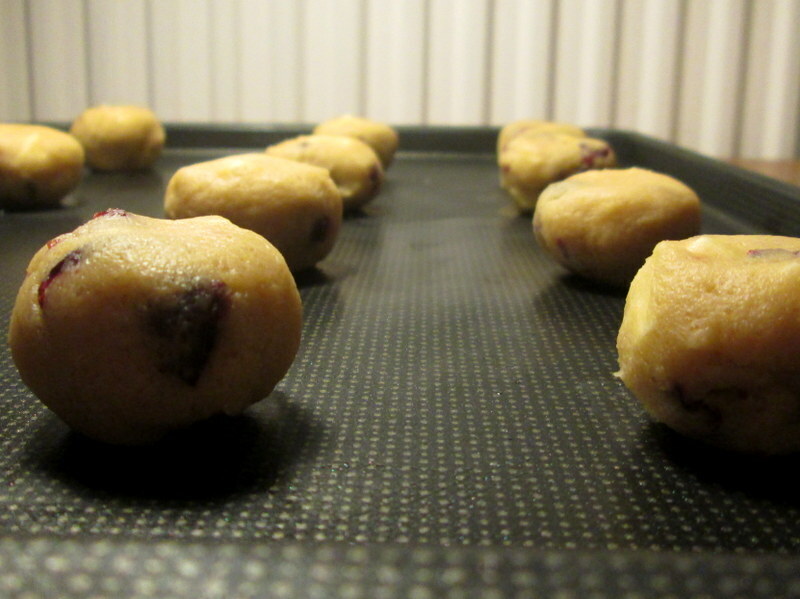 Take the cookies out of the oven (if the cookies have ‘risen’ a bit again, give them another gentle tap on top), and leave on the cookie sheet for about a minute to set up before transferring to a wire rack to cool.